Other albums have followed. Inspired by a study of harmonics, and the effects of frequency, over-toning the music incorporates all these elements in symphonic harmony. Mike continues to fulfill his spiritual practice of the deep and significant effect music can have in our lives. Composition became not merely a matter of creating notes and gathering them together, but hearing them first, in his mind. The Fairy Ring was his first major composition. As a young man he explored many avenues of music, including classical, song-writing and even building church organs! But the key characteristic he developed during those early days of travelling and learning was to listen. Not just to the sounds of the world but to the sounds of nature. Students are encouraged to develop their listening skills. He began composing music as a young adult, having learned the piano as a boy. Mike also teaches. Students develop spiritual intuition and sensitivity at colleges and healing centres in Britain and abroad. Mike is also teaching workshops from The Old Forge Studio during 2007 and details will be posted on this web page! is the composer of The Fairy Ring, the most successful New Age album of all time. 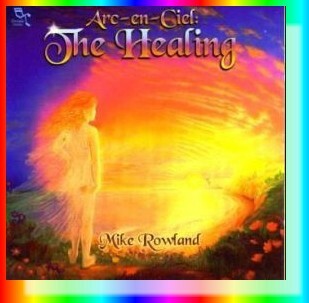 For the last twenty years he has composed and released albums to inpsire and heal. People find the qualities of the music beneficial and relaxing. It is not only used in hospitals but healing centres across the world. Hudba Mika Rowlanda může být dveřmi k sebepoznání a uzdravení. Barvy na tomto mistrovském albu se volně spojují do síly, která hojí zevnitř.